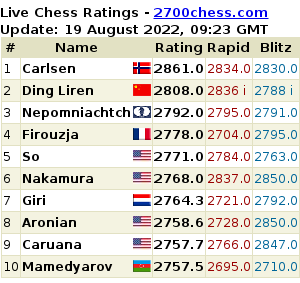 This work finally marked a new era in chess. But this can be understood only after almost a century. In distant 1927, many author’s ideas seemed to be incorrect and doubtful. There were a lot of reasons for that. In this review we will try to interpret his work in historical terms, its impact on the modern chess. We would like to find out what ideas outlined in the book have been proved by time and which were only methods that work only in specific cases. 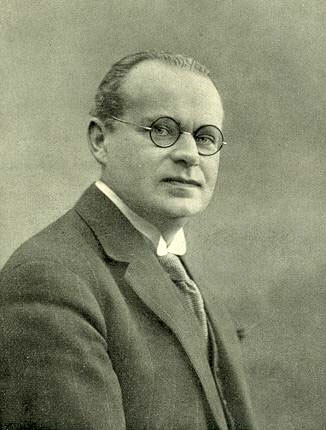 We need to mention that Aron Nimzowitsch was one of the strongest players of the early 20th century. He played successfully with all the luminaries of the time, got the glory as one of the most dangerous candidate for the chess crown. He played many instructive games against Jose Raul Capablanca, Alexander Alekhine and Emanuel Lasker. Garry Kasparov in his book “My Great Predecessors” put him approximately on the 5-th place in world by strength in that period. So what did prevent Aaron to get the chess crown? We think that partly because of lack of chess practice or maybe other competitors were more talanted, who knows. In that time it was not prestigious to be a professional chess player. All were trying to have some other serious work and education. Capablanca told everyone that he was a diplomat, Alexander Alekhine received a degree in law, Lasker and Euwe – in mathematics. But there is another reason which influenced the results of the Nimziwitch, and we think it is very important. He was highly talanted (well, except maybe Capa and Alekhine), and didn’t reach success what he could because he was nervous, unstable, highly unsuitable for life. Like most pioneers, he gave too much importance to his discovery. It is impossible not to recall his heated dispute with a representative of the old school Dr. Tarrasch. What a book “My System” is about? In our opinion, this is not just a collection of “old recipes from a grandmother” but much more. The grandmaster tried to express his method of chess study, his philosophy of the game. Later only Mikhail Botvinnik tried to repeat this step in his famous series “Analytical & Critical Works”. The present-day top players are not interested to share secrets of their laboratories. Therefore, we hardly ever see books similar to “My System” by Kasparov or Anatoly Karpov. While it would be very interesting to read them. This book consists of 3 parts. The first explains the elements of chess. Obviously, all of them were known long before. Almost all of them were formulated by Wilhelm Steinitz – 1st World Champion. The third part of the book is devoted to illustrative games with author’s comments. The most interesting for us is the 2nd part. One of the most valuable idea introduced by Nimzowitsch was the principle of prevention thinking. Very close in to that is the principle of excessive protection of weak squares. These techniques are organically included in modern chess. Separately, we can mention the idea of a blockade. We recommend to study games of Tigran Petrosian with his quality sacrifies for the position of the blockade knight. A special chapter tells about the maneuvering, ie, gradually increasing the pressure on the opponent’s weaknesses. The strong side of Nimzowitsch was dynamic play. If to analyze his style more deeply, it becomes noticeable that he prefered to play from defense but partially to prove his system. There were situations when all the author’s pieces move on the last two ranks when he played black. It was a challenge of modern view on positional play of that time. It seemed that he may ignore the basic chess principles, for example, not to occupy the center by pawns. But still, in some cases he was severely punished in games with brilliant attacking style grandmasters such Alekhine. So what do we do not really like in this book? The book sometimes shows dogmatic approach of the author. His laws do not work always and everywhere, it should be remembered. His recipe to attack pawn chains from the base pawn ofcourse is very good. But in a popular today Chebanenko variant 1.d4 d5 2.c4 c6 3.Nc3 Nf6 4.Nf3 a6 in Slav defence, black violate this principle and feels very well. Plus, all these chess principles still apply to static positional factors. But as we know, one have not to underestimate the dynamic aspects of a position. We believe that the author was aware of the fact that he writes very exaggerated, but he believed that it is correct from an educational point of view. But overall we are very sympathetic to this work because it helps everyone to expand its positional arsenal. We certainly recommend the book for reading.